White Wolf : First Daughter and the Black Snake won best film at the Minneapolis Film Fest. First Daughter and the Black Snake won best film at the Minneapolis Film Fest. It's Winona LaDuke versus Big Oil in this documentary about the Native American environmentalist's campaign against the Dakota Access Pipeline's plans to route a crude oil line near sacred territory and in a place that could potentially threaten the region's water supply. 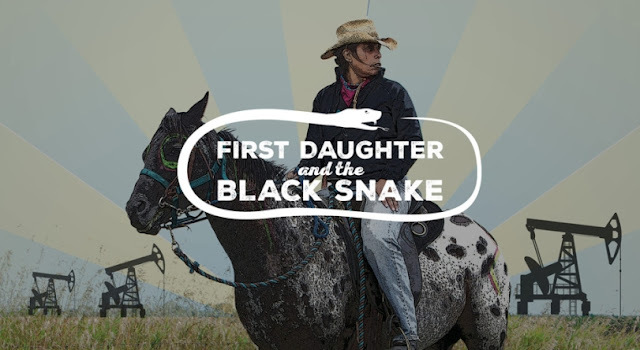 "First Daughter and the Black Snake," by Keri Pickett, covers LaDuke's efforts and a prophecy about a black snake that will bring destruction to the Earth. It won the Best Minnesota Made Documentary Feature at the Minneapolis St. Paul International Film Festival. LaDuke and Pickett are expected to attend both viewings. 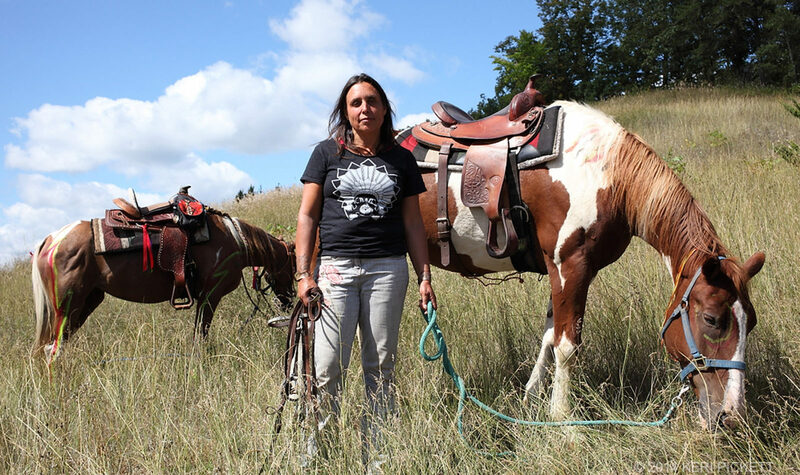 Following her decision to fight Enbridge, Winona dreams that she is riding her horse against the current of the oil. Launching an annual spiritual horse ride along the proposed pipeline route, speaking at community meetings and regulatory hearings. Winona testifies that the pipeline route follows one of historical and present-day trauma. The tribe participates in the pipeline permitting process, asserting their treaty rights to protect their natural resources. Winona is a daughter, mother, granny, and Executive Director of Honor the Earth, a native-led environmental justice organization. Winona’s mother, Betty, explains about she met Winona’s father, Sun Bear, and his traditional life of hunting, fishing, and gathering on Minnesota’s White Earth reservation. Tapping trees for syrup, harvesting the wild rice, sewing a jingle dress, defending the treaties, and tending her horses—Winona is living by her father’s values. Responses to "First Daughter and the Black Snake won best film at the Minneapolis Film Fest."